A lot of investors educate themselves these days through YouTube videos. Indeed, visual is the way to go as it engages more than one set of senses – auditory and visual. However, videos like the ones on YouTube do a lot more. As the videos are available on a social media platform, it helps you connect with a community of people who are interested in the same things as you. You can also interact with them and become a part of the community and enhance your own learning experience through collective knowledge sharing. More importantly, you can watch these videos through the internet when you’re on the move. Imagine being on the London tube from Newbury Park to Notting Hill Gate, a journey that will probably take you an hour. Apart from taking a nap or gaping at your fellow passengers, there’s little else you can do. But, we find that more and more people use this time to watch learning videos to enrich their own knowledge about a certain subject. So, YouTube is great for enabling mobile learning. It’s also great as a micro-learning tool since the medium allows you to assimilate learning in bite-sized chunks, as opposed to trying to digest everything in one go. So, now that we have established that online videos can promote learning, we also believe that investors can learn quite a bit from watching these videos. In this article, we’ll discover more about five such videos that can be a great learning opportunity. The selection of these videos has been made based on viewership. This video was uploaded on 11th April 2014 and features a beginner’s guide to gold investment, published by MoneyWeek. The video has enjoyed a viewership of 103,635, which is considered high for a video in the non-fiction genre. The highlight of the video was the recording of an interview with Warren Buffet, the great investment guru, talking about gold investments. In this video, he makes the infamous statement that if we took all the gold in the world, it would fill a 67-foot cube that would cost $7trn and would be sitting at one end of the room, doing nothing. Buffet argues that for the same amount of money one could buy a large stock portfolio of US-based equities, which would generate a much greater return. Viewer comments state that Buffet is not entirely justified in his comments because gold provides insurance against times of turmoil in the international stock markets. Investing in gold is a YouTube video published by Investing 1000. The 4-minute video has a viewership of 66,765 views. 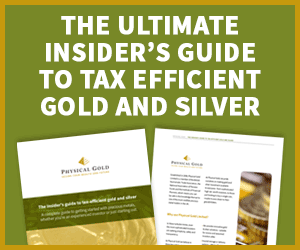 The video walks novice investors through all the basics of gold investing much in the same way the ‘insights’ section does on the Physical Gold website. This video is published on YouTube by Kevin O’Leary, Chairman of the O’Leary fund. Kevin is a highly successful American entrepreneur and an expert in the science of investing. The video has a viewership of 716,127. The long 19-minute video has great information about investing and O’Leary discusses the pros and cons related to investing in physical gold. The video provides useful information for novice and expert investors alike. channel that publishes useful videos on science, commerce and investing. Their 40-minute documentary, titled ‘getting rich with gold investment’, explores the history of gold, the growth of its demand as a precious metal and considering gold as part of the asset allocation for your investment portfolio. The video also talks about the percentage of your investment portfolio that needs to be invested in gold. The video packs in a lot of useful information for investors. Dr. Ron Paul talks about why investing in gold currently is a great idea, with the increased volatility in the US dollar and inflation creeping up. Ron Paul is a physician, writer, retired politician and gold investment expert. In this video, he debunks many myths about the behaviour of the US dollar and the inflation index. He also explains why he believes in gold right now and why, like him, a lot of people are buying. Whilst YouTube is a great platform for investor information, everything you see and hear on social media cannot necessarily be trusted as genuine information For the most accurate and authentic information on how to invest in gold, call our investment advisory team on 020 7060 9992. You can also reach out to them by contacting them via our website. They are best placed to guide you through the ins and outs and gold investing and will give you the information you can rely on. Call now!